Living Streets are partners of the Healthy Air Campaign and I went along to talk to the Southwark Living Streets group in March. Southwark being home to the Old Kent Road, they are no strangers to the issues around air quality, and Ben Barratt and his team from King’s College London had also recently shared the revealing results of their personal exposure studies for this area of London. Despite knowing about the issue, they were not sure of the best way to get involved and are keen to join forces with other local groups, something which the Healthy Air Campaign hope to facilitate. There was interest expressed in taking measurements of the air quality in Southwark, which we will be able to do with equipment kindly loaned to us by Air Monitors Ltd. A newly established green link in East Walworth was discussed as an opportunity for this. 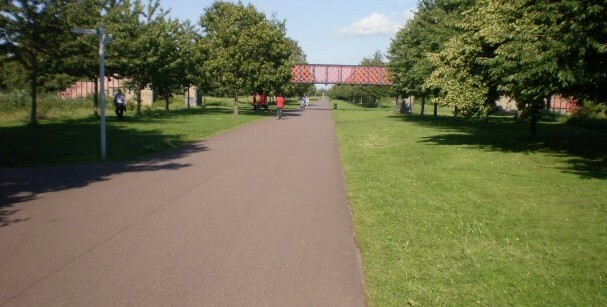 Green links are a way to provide accessible and green walking and cycling routes off main roads, as well as linking green spaces. See here for more information on green links in Southwark. In this particular case, creation of the East Walworth green link involved traffic calming measures, addition of greenery, and changes to parking. It provides a much needed alternative to walking along a stretch of the heavily polluted Old Kent Road. We thought that if we collected data comparing the difference in pollution along the two routes, it would be a powerful message to encourage use of the link. We’re planning to do this in the coming months. One member also told me an interesting story about Trinity Street in Borough, whose residents had suffered from the road being used as a ‘rat run’ – vehicles using a small residential street to avoid congestion on the main road. There had been very high rates of asthma among children living on the street, but this decreased dramatically after they finally succeeded in getting the road changed. I’m planning to talk to the community on Trinity Street and understand the exact facts better, as this kind of evidence could help to communicate the very real health impacts of traffic emissions. I hope that we can get involved in more projects like these, which might be able to use the air quality angle as a way of encouraging more walking and cycling. Some of the health impacts of air pollution are quite scary and it’s really important that as we raise awareness of these, we also make clear that there are ways to help change the situation. Get in touch if you are interested in mapping your local air quality in London.